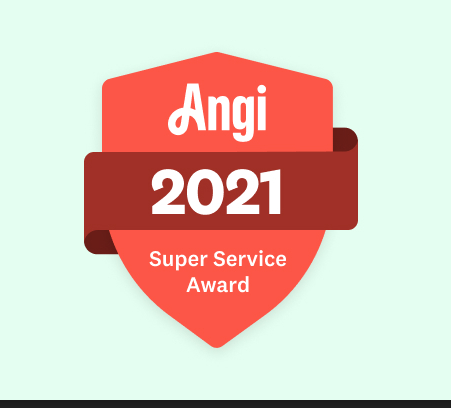 As a professional mover in Charlotte, we want to ensure that all of your items make it to their destination safely. This is why we always advise that you take high value items, such as personal documents, titles, deeds to your new home, and medications with you instead of putting them into moving boxes. You don’t want to be in a position where you have to cancel a vacation you’ve planned right after your move because you couldn’t find where you packed your passport, then finding it several months later in a box with your books from the living room. Simply put, if you have possessions that are small, but irreplaceable or very valuable, carry them with you. Our movers in Charlotte often come across people who say that they’re “ready to go” before they arrive, but quickly find out that it isn’t the case once they get there. Being ready when your movers arrive means that your items should be already packed and all boxes should be sealed and labeled. If your items aren’t all ready as the movers are loading the truck, we’ll gladly help you out by adding packing services to your move. However, there is an extra cost for this service and the time spent packing your belongings will make your move take longer. You should always take care to empty all drawers from furniture items like dressers and desks. While you may think that leaving items inside will save you packing time, just realize that moving bulky furniture is difficult even when it’s empty. 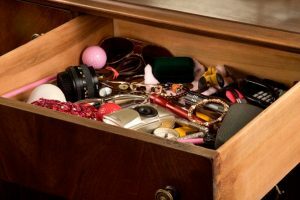 Items left in desk drawers will slide around during transportation, which increases the chances of damage. Often times, a dresser needs to be turned on its side to get it through a doorway. If the drawers are full, smaller items are likely to fall out of into the shell of the dresser. If you leave clothes in a dresser, it will need to be double wrapped to keep the drawers from opening during the move. It’s always a good idea to empty your drawers and place all of their contents into boxes. This not only makes the job easier for our moving team, but also ensures that fragile items are adequately protected during the move instead of being left to roll around a drawer, and small items may fall through the cracks. You should ensure that your children and pets are in a safe area once the movers arrive. You already know how difficult it could be to navigate your own home if you have little creatures running around next to you all the time. It becomes even more difficult if you have to carry large items and can’t always clearly see what’s in front or around you. While your dog may be very friendly and eager to make friends with our local moving team, it’s important to let them do their work without having potential hazards in the way. To prevent accidents, be sure to keep kids and pets out of their way. If you live in an apartment building with elevators, try to reserve one for your moving day. If you don’t, you might slightly annoy your new neighbors by making them constantly share an elevator that is loaded with boxes and furniture. Reserving an elevator will also help speed up your move, as it will eliminate the need to wait for an elevator that has enough space to put all of your items in. Before you move in, ask the leasing office or building manager whether you can reserve an elevator at the time to move in all of your belongings. In most cases, they’ll be happy to accommodate your request. Also, ask your leasing office if your mover is required to provide a mover’s certificate of insurance (COI) naming your property management as an additional insured. This is especially important in larger cities such as New York, Boston, Chicago and Washington DC. Access to these building will not be given to the mover until a COI is faxed or emailed from the mover’s insurance company. In general, you should try your best to remove any obstacles that could get in the way of your movers getting the job done in a safe, rapid and efficient way. 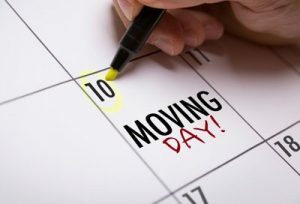 Your Charlotte movers will greatly appreciate if you follow the tips mentioned above, as this will not only simplify the job for them, but also ensure that your move goes smoothly without any problems or delays. If you’re unsure of how to best prepare for your move or need some advice, you can always get in touch with the team at Easy Movers. We’ll be glad to answer your questions. Request a Fast Moving Quote or Schedule an On-site Move Survey today!